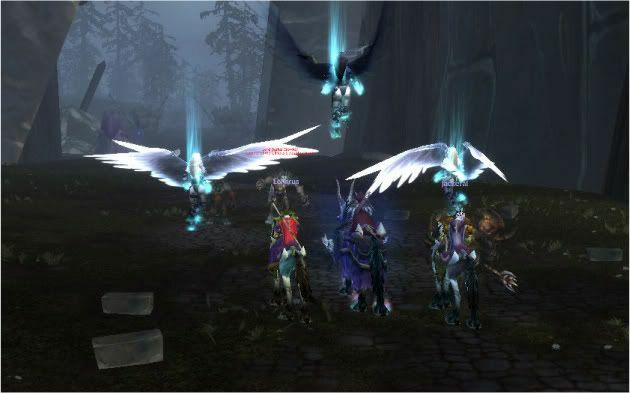 RP INTENT: We plan to join the RP Community (most likely the Guild "Shadows of Lordaeron") in the run-up to TOR. the invasion event has begun! Did we want to set up a night* per week that we meet up in game at a minimum? Just to ensure we get lots of RP in I appreciate the Guild we're looking at don't accept members until level 20 so I suspect most of our gaming today before that will be mainly solo with splatterings of RP but I thought it might be an idea to get this sorted out early. @ Smudge: Have you decided if you're gonna join us yet, chap? * Or we could choose 2 nights per week incase everyone can't make just one due to work/time constraints.. The Shattering (pre-Cataclysm changes) has begun! The patch is currently underway but about 1/2 the servers are already up - I can't log in yet so can't inform of what changes are being implimented free before the release of the expansion- but I'll update here as soon as I know! EDIT: Managed to get on. For the moment it all seems to be visuals; from a new intro and menu screen (gnomes and trolls finally have their own one ) to new loading screens and new music. Many of the areas have had a major graphics overhaul or have been drastically changed....just look at Stormwind! Well we'd love to have you here Mr T (you know that) but I thought you weren't keen on it? and Flippin' heck - look at BRILL! Aye - they're an aquired taste - but as you can see they've had a makeover... the textures are now complex, as are the water effects and technical shizz like god-rays have been added. The style is still very cartoony, but no worse than TOR I'd say. This is my problem with it. The "High Fantasy" look never appealed to me. 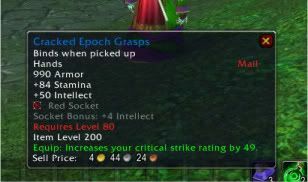 Oh and gratz on the Epoch find Suiadan. I'm trying to disagree with you about the TOR graphics and its becoming harder the styles are definatly similar more drawen then rendered but they are better quality ofc, that said I'm loving the new quests, alot better then the grinding ones of yore things is I wont be able to tell the difference for the most part as I've not played in most of it! I was racing through lvl23 so i dragged myself off! I'm so completely agreing on the horribleness of WoW's graphics. I have to say actually that I disagree about the whole graphics thing. Just today I've been admiring wow's stylised graphics and even went and scoured the net for the various incarnations of the evolution from Orcs Vs Humans right up to Wow's 3rd expansion - Cataclysm. Its incredible level of detail mixed with its own timeless look (one of the reasons I dislike "realistic looking games" being that 'cutting edge technology' goes out of date in 25 mins) means that it has its own style that will never really age because it isn't trying to look up to date, rather that it just looks 'like wow'. Its very easy to 'bash wow' (and I'm not saying people here are doing that) because its so popular, but its popular for a reason and I'm of the impression that its art, soundtrack and rich lore are all major reasons for that. Some people just don't like 'cartoony' graphics, and never will - but thats what Warcraft has been like its first inception, its what works and how its as successful as it is, and continues to be. 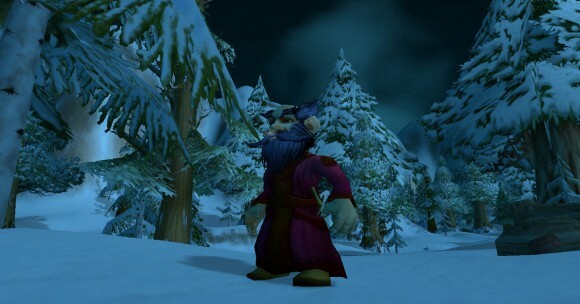 If wow was more photo-realistic (like AoC or EVE) it wouldn't suit the game world or the style of the game at all, hence they don't try to go down that route. TOR similarly has such graphics, and because of that some people won't like it. That's their call. For my money, WoW looks great. TOR looks great. I can see me enjoying them both. The lack of Gnomes in SWTOR = instant Win. To beat this you should use "The Nazi" card, and as you know it means automatic lose in internet debates. lol to be fair Witya I tried to find two screenshots of similar quality - we could cloud this thread with images of where TOR looks better than WoW and WoW looks better than TOR, but I do see your point. ......Hopefully Gnomes won't appear in TOR, but you know how George likes people and creatures of the 'tiny' persuasion! I couldn't find the server that you guys are on? I think I need to buy it. We're on Steamweedle Cartel mate, and you shouldn't need to buy it - PJK could play alongside us on his trial account... that being said the Trial account is REALLY restrictive - you can't even trade with one another! Seeing as you've already done the hard part (downloading it) I'd upgrade to the full game for £4. They've implimented something in the "friend finder" option where you can actually add someone by player name rather than character name - they call it "RealID". 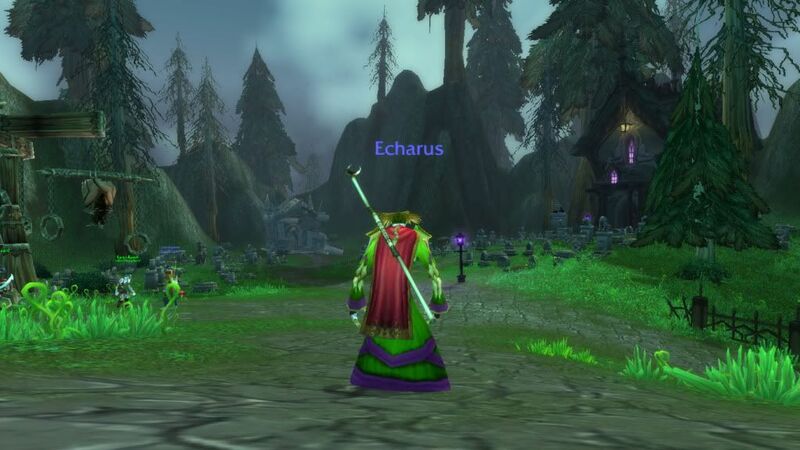 For example, if you added "Echarus" - you would see me online when I played Echarus. To be honest I think you can go back and forth with the WoW argument but people will always disagree. Personally I don't see any resemblence in the graphics to TOR, and I actually really like the stylized realism effect that BioWare have used. WoW on the other hand always looked closer to something from the mind of Walt Disney, which is a good or bad thing depending on how you look at it. Actually my biggest concern and one of the main reasons I never started playing WoW was the horror stories about it's community. For that reason alone I wouldn't go near it. At the end of the day though it's to each their own. True enough - but then again, it depends what community. (which server specifically). 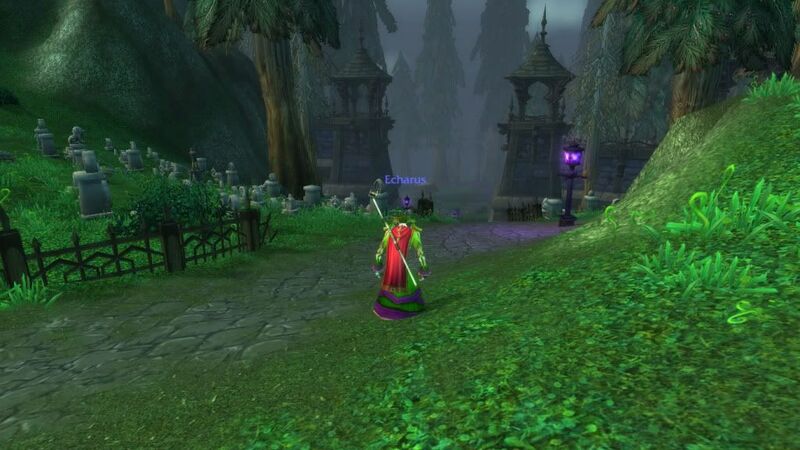 Of all the mmos I've played WoW houses easily the best and worst communities I've ever seen...... and unless you know the server you don't know whether you'll get patient, polite people with a great sense of humour or hundreds of 9-year old mentality types who literally only come on to make other people's life difficult. I'm guessing we'll see that with TOR.